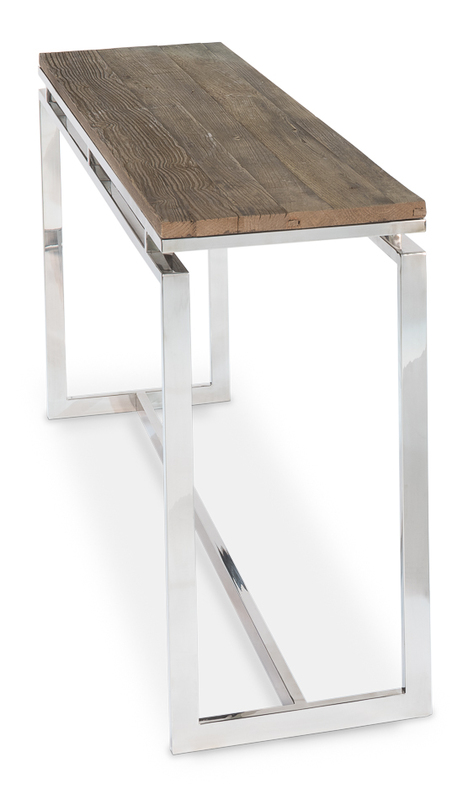 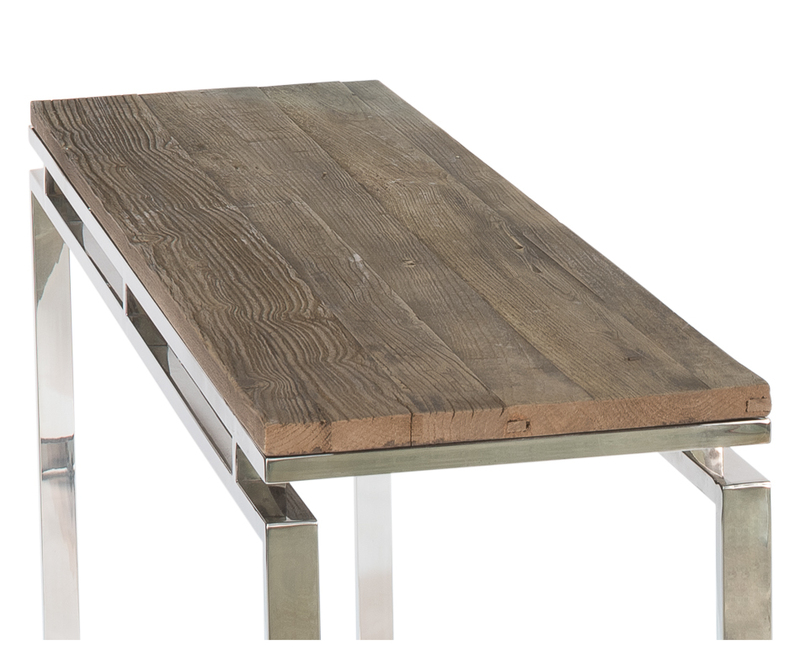 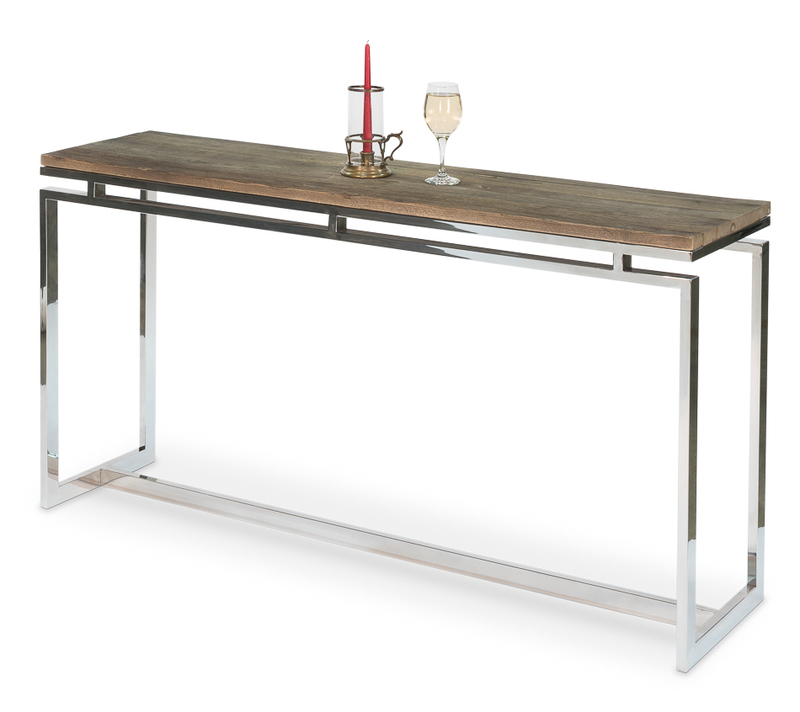 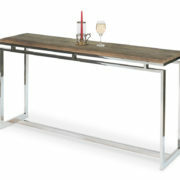 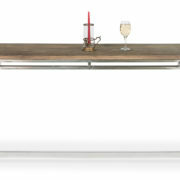 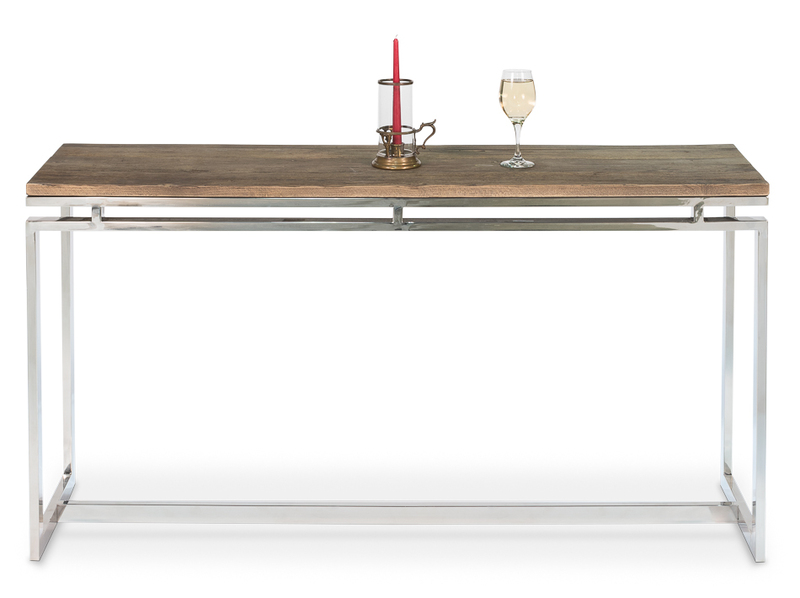 The Toronto series of table features recycled Elm and stainless steel. 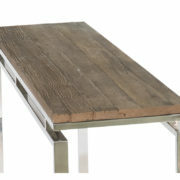 The elm top to this attractive pieces appears suspended over the base. 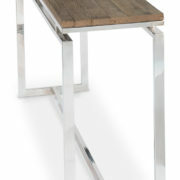 A very interesting design.